Home / News / Free Fun at the Devils Lake Revival! Free Fun at the Devils Lake Revival! Lincoln City, OR – There’s a revival happening at Devils Lake, and everyone’s invited! The fourth annual Devils Lake Revival will be held Saturday, July 19th, from 10am to 2pm at Regatta Grounds Park (NE 14th Street). Organized by the Devils Lake Water Improvement District (DLWID), the Revival’s popularity has secured itself as an annual event and they plan to draw another big crowd. Come try something new, and enter to win a free kayak! Starting at 10am Saturday, Devils Lake will be flooded with free activities including pontoon boat tours, stand up paddle boarding, kayaking lessons, and more. Event organizers work with local surf shops and rental companies to offer free stand up paddle-boarding and kayak rentals and lessons. For those who want to explore the lake but prefer to stay dry, the free pontoon boat tours are just the ticket. Along with live music, free food, and booths hosting non-profits and other local organizations, there are plenty of new things to try! There is no fee to enter. The history of Devils Lake is shrouded in mystery. Legend tells of a giant sea creature that once inhabited the waters. The local Siletz Indian tribe told of evil spirits that haunted the lake, and did strange things to warriors who crossed it. In order for the tribe to continue their peaceful existence on the lake, great feasts and celebrations were held to keep the spirits at bay. Although the legend may be thousands of years old, the lake is still a hot spot for fun festivities and parties, including the Revival. 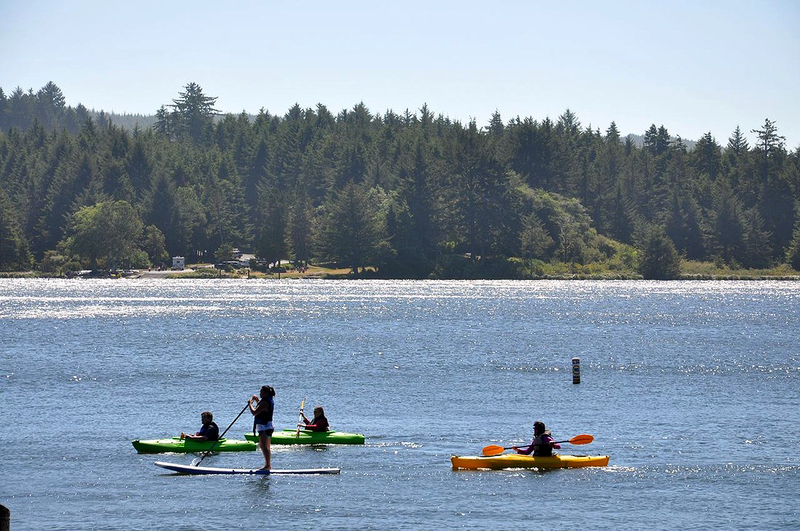 “We want Devils Lake to continue to be a great resource for the community and visitors to Lincoln City, the Revival is a really fun way to promote both recreation and stewardship on the lake, we invite everyone to come down and enjoy” concluded, Robertson. For more information on the Devils Lake Revival contact the DLWID at: 541-994-5330, [email protected], www.facebook.com/devilslake.oregon. Lincoln City – A Great Place to Try New Things!